TXDOT's Scheme to build roads faster. This will sound very very ridiculous. You probably won't believe it without some deep thought. This is really just a conspiracy. I'm not a conspiracy theorist. First, you have to ask the question on "Why is Txdot privatizing roads". I think I finally figured out why. I don't think its just a Money issue. Let me tell you guys, Government road projects take years and years for construction to start. Look at Chisholm Trail Parkway. Keep in mind that the NTTA is a part of the government. Chisholm Trail Parkway was planned over 50 years ago. Trinity Parkway is still on the table even though people wherefore it and voted for bonds on the road over 15 years ago. TXDOT was planning to replace the I 30 and I 35E bridges over the Trinity River and fix the Mixmaster and the Canyon through downtown Dallas. They wouldn't be doing this project right now if it wasn't for the Hole in the I 30 bridge a couple years back. In Austin back in 2005. They needed a faster solution around the city. Gas taxes are slowly running out. TXDOT knows that roads that need to be built but as Gas taxes slowly start disappearing. Roads will take even longer to build. So to make roads faster, they bring in private companies. TXDOT designed all of the corridors. They put it in places which they know that it won't get a lot of traffic (Example being 130) and lie to the company saying it like a gold mine for them. Not just lie to them, but to the people. They don't want to tell the truth to the people because then the rumor would spread to the company. So the company builds the road and hopes that TXDOT was right about the gold mind, but only less than 6,000 cars take the Toll Road. This isn't the first time this happened. In Laredo. SH255 was made and it only got 10% of the traffic on I 35 which is not enough. So the company sells it back to TXDOT. SH255 was just the guinea pig. SH130's owner, has a Default looming over their heads. Cintra period is having problems right now. I think this was a part of TXDOT's plan to reroute I 35 around Austin onto 130. Also making it a free road by buying it back from Cintra. TXDOT Just wanted to build solutions faster by letting the company that built it go bankrupt and buying it back. That is where the Gas tax is going. Also the fact that TXDOT made a little money off of the tolls. I don't think its just SH130. But any private Toll Road. Like the LBJ express. If you put a toll road on a freeroad. Most people will go the freeway. The company don't benefit or get payed back. The only way in which a private toll road would benefit if it was the only thing there. Not something fighting the road. The Toll road always loses the fight for the freeway. I know the conspiracy it a bit ridiculous. I would love to hear your opinions though. Re: TXDOT's Scheme to build roads faster. You know that Cintra isn't even involved in the segments that actually bypass Austin, right? They only built segments 5 and 6, from the south side of Austin (at the SH45 south/183 interchange), around Lockhart, to Seguin. Any theoretical rerouting of I-35 would pretty much have to follow SH45 back over to 35, not SH130 south to I-10, because there's no good connection back to 35 at San Antonio (cloverleafs at I-10/I-410 and I-35/I-410, and a tight stack at I-10/I-35). Using I-10 would require upgrades to the 410 interchanges, or for 1604 to be upgraded to a freeway, and I doubt there's money for that. Also, there were past attempts at privatization of toll roads with actual traffic volume. What is now the Sam Rayburn Tollway was originally going to be Cintra, before NTTA got involved. Certainly enough traffic on there, especially considering that NTTA is about to start the design phase for upgrading from 6 to 8 lanes. Finally, tolling I-35 through Austin has no chance in hell of actually happening. They're seeing enough pushback on adding new tolled express lanes on MoPac and 183. Tolling what is now free would be political suicide for any legislators who tried to OK it. How many of these private roads does Texas have? Let's not forget that I-69 is spreading like wildfire down there! Outside IN, TX seems to be the most serious about building it. The "conspiracy" as described sounds plausible, but requires an assumption that transportation officials in Texas are myopic enough to exchange a few toll roads built now, and followed by bankruptcy of the promoters, for long-term disinvolvement of toll road promoters in road building in Texas. I don't really know how to check independently that such an assumption is sound. It is also worth noting that there were "push" as well as "pull" factors for the private-sector toll operators to become involved in Texas. Macquarie is funded by the Australian pension system, so it has a lot of fallow capital available. Cintra has operated toll roads under concession in Spain for a long time, but I don't think it is the biggest company in that sector in Spain (I think that distinction belongs to Abertis). Back in 2003, when Cintra first became involved in Texas, Spain was in the middle of a massive construction program for autovías (untolled freeways) which, in some cases, duplicate existing autopistas de peaje (turnpikes) and thus impair their profitability. The US, then going through an extended phase of reluctance to increase fuel taxes that still continues to this day, was the major outstanding growth opportunity for them. AFAIK only 3 current roads are privately operated: segments 5 and 6 of SH130 (south of Austin to Seguin), LBJ Express, and (soon) North Tarrant Express, which are all Cintra. Everything else is either one of the regional mobility authorities (CTRMA, CRRMA, NETRMA, CCRMA), one of the older tollway/toll road authorities (NTTA, HCTRA, FBCTRA), or TxDOT. LBJ Express and North Tarrant Express pretty much had to be private to ever get built because no one else had the money or credit to finance them. NTTA was hit pretty hard with the Sam Rayburn Tollway, 2 extensions to the Bush Turnpike, and the Chisholm Trail Parkway all coming fairly close together. Even if they could somehow scrape together $4 billion, it would come at the expense of other major projects in line like the DNT extension, SH170, SH360, further eastern extensions of the Bush Turnpike, the Trinity Parkway, Loop 9, etc.. I know about the bypass. Its owned by the CTTA I think. It took a lot of research to come with it and it does seem what is happening. Look at SH255 for example. Some of these toll roads would do better if they weren't automatic. 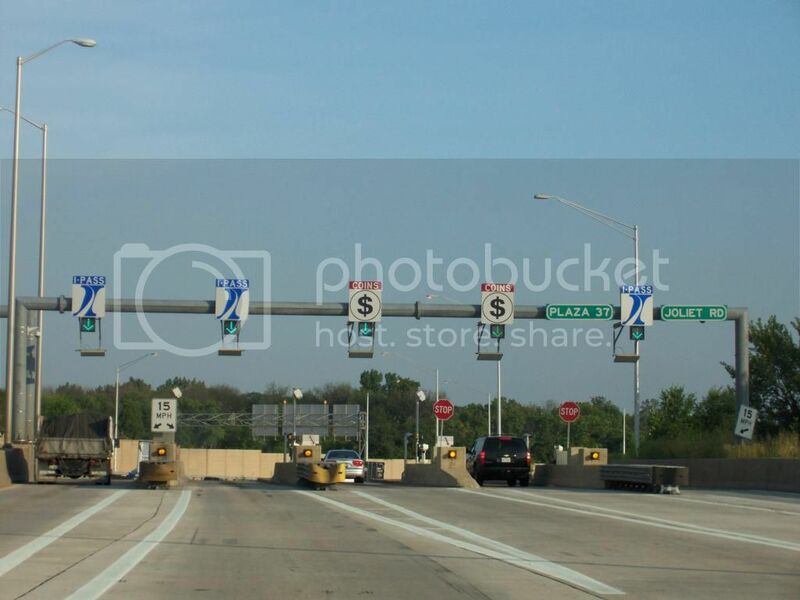 Automatic tolling often confuses people and they won't take them. SH 255 would do better if there was a toll booth. SH 130 would do better if there were toll booths on it. I promise. Please tell me that was tongue in cheek. I don't think it was. The electronic tolling as it has been implemented in central Texas has a reputation - one very consistent with my personal experience - of egregiously over-charging people. Remember TXDoT's campaign of shame last year? All 25 of the named "toll scofflaws" had accumulated their tolls in Central Texas. With the huge population centers and miles of toll roads in Houston and Dallas, does it really make sense that every single one of the named "offenders" would live in or near Austin? With a booth, you can know you're paying the posted $0.75 instead of having a bill that starts at $10 and grows exponentially if the USPS fails to deliver or if you dare to contest it. how the Hell do you rack up fourteen thousand toll violations? let's say, generously, that there are 10 pay points along a route, and you hit drive the route twice a day. that's 20 collections that you miss. meaning, you have to scoff the law every day for two years straight. as a bare minimum. at some point, shouldn't the Texas Rangers have clued themselves in that there's a guy running the collection points without paying, every morning and every afternoon at at the same time? furthermore, there are thousands of photos of his vehicle, license plate, etc. at some point, pay the dude a visit at home. Most of TxDOT's toll roads are in the Austin area, that's why that area has so many of their toll violators. Their toll road footprint is expanding around Houston, but TxDOT currently has no toll roads in the DFW area. The large numbers represent the very large violation fees that add up. I suspect that the large fees are mostly counterproductive, because instead of encouraging people to pay, the huge balances may make people feel unable to pay and to discouraged to try. By law, administrative fees (not including fines for citations, which are rarely issued) are required to be set "so as to recover the cost of collecting the unpaid toll, not to exceed $100." The fees are not to be used as penalties or revenue padding. 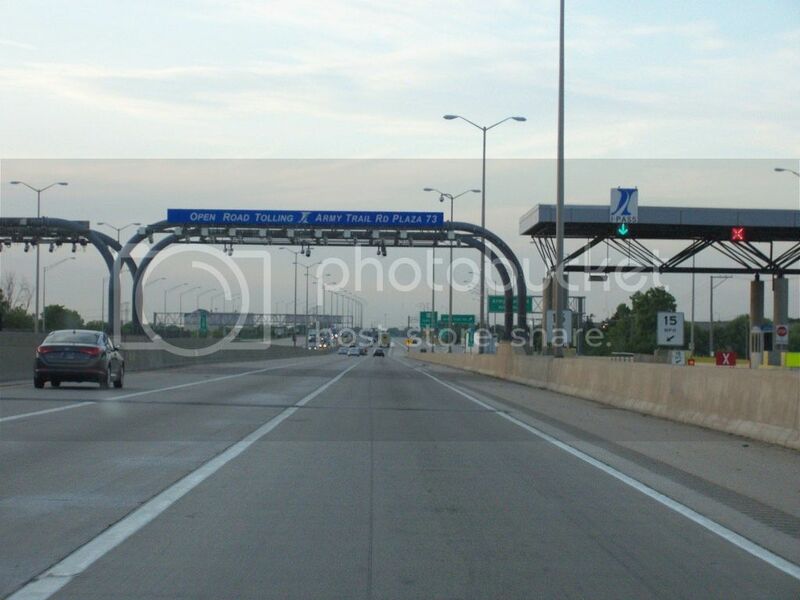 $100 is the maximum, but the actual amount should reflect only the cost of recovering the toll payment. All toll authorities violate the law by padding their revenue with illegal revenue-enhancing fees. Almost all Texas toll authorities that send bills are notorious for sending violation notices first, never giving drivers the opportunity to pay just the tolls without exorbitant violation fees added. In order to be considered a habitual toll violator subject to more severe measures, an owner must have at least 100 violations within a one-year period. I'm glad that drivers have that protection. Having that many wrongful violations within a year would require extremely bad luck. My overall advice, which many agree with, is to avoid all-electronic toll roads unless you have a tag. It doesn't guarantee you won't have problems, but it makes it less likely. I know a lot of people roll the dice and drive without tags, but I suspect many also know the danger and avoid the non-booth toll roads. Edit: The administrative fee is to be set to recover the cost of collecting the unpaid toll - singular. Just to be clear, it's per unpaid toll, not per unpaid bill. Having and ten unpaid tolls of 42 cents and then charging $1,004.20 is, in my mind, not a good way to get people to pay. I know a lot of people roll the dice and drive without tags, but I suspect many also know the danger and avoid the non-booth toll roads. Yep. My parents refuse to drive on all-electronic toll roads for any reason (in the rare event we ever encounter them) even if pay by plate is an option. The large numbers represent the very large violation fees that add up. I mean the raw quantity. 14358 transactions. I once had the Golden Gate Bridge fail to charge my card (they were just setting up all-electronic payment and I suppose they had a glitch). the letter they sent me - again, for their error - was sufficiently threatening ("it's $31 now, but if you don't pay within 21 days it's $840") that I had figured that there'd be a warrant out for my arrest if I neglected it. needless to say, I had it taken care of within 24 hours. so, someone can fail to pay a toll fourteen thousand times?? this isn't even a standard amount of delinquency. this is a sport! I agree that cases of obvious abuse need to be dealt with appropriately. That number of violations is clearly excessive. The habitual violator law allows severe measures against vehicle owners who commit at least 100 violations within one year, which I agree with. Even 50 is a number high enough to make it unlikely that innocent people would get caught up in the system. My objection is the frequency of wrongful invoices and violation fees assessed against those who never had an opportunity to pay the tolls only, the excessive amount of violation fees (if you scare people too much it'll often initiate a flight response), and stupid billing practices. I know that NTTA had, until recently, stupid billing practices through which it was possible to pay a bill in full and still have tolls due even if you hadn't driven on any of their roads recently. It would be easy to think that the next bill was a duplicate since you'd just paid your full balance. They recently fixed that and now charge the full amount due on every bill (something every billing entity I've ever dealt with does). I wonder how many of the "scofflaws" went for years paying the amount due and thought it was paid off when it actually wasn't because of multiple concurrent bills, all charging for different tolls. Well, it was known and acknowledged by TXDoT that there was over-billing due to faulty transponder-reading equipment. Sure, there were some screwups in the early days, but they fixed the problems. Everything in DFW and central Texas is now all-ETC. Pay by mail bills for the tolls are sent monthly, or more often if the amount due exceeds a certain threshold. There's plenty of opportunity to pay what is owed without a fee. And in the case of NTTA at least, tag misreads aren't a big deal because the tag is associated with a specific plate number, so when the plate gets read, it automatically gets charged to the account. When NTTA started cracking down on habitual violators, they even offered a deal to people with past-due tolls where they only had to pay the actual tolls plus 10%, rather than all the extra fees and penalties. There was ample opportunity for people to pay up without getting hammered. Unlike most E-ZPass members, FasTrak, SunPass, K-Tag, and other systems, there's no one-time or monthly fee for the tag, just an initial deposit that will go 100% to tolls as needed. There's no excuse for regular toll road users not to have one. Anyone running up violations is doing so intentionally. You mean a toll plaza like this? Even the eastern tollways could do this if they wanted to. In Seattle, there was some loophole in the parking system that prevented some people from having to pay. The top 500 "offenders" have over 9000 tickets. One person has 146. Not that long ago, I had a few unpaid tickets. I wanted to see what would happen. Nothing for a long time, and then suddenly they were basically breaking my door in to get their $110. What I hate is tickets that increase if you contest them. Seeking your day in court should not be penalized. SH 255 didn't even do any business to speak of when it had a tollbooth. Really, the only reason to take SH 255 is if you want to drive from San Antonio to Monterrey non-stop or vice versa without stopping in Laredo. Between the Colosia bypass of downtown NL, the requirement that commercial cargo be transferred within the border zone (which was supposed to go away with NAFTA but the Teamsters have dragged that out for over 20 years), and the Zetas, there's no market for the road because virtually nobody is making that drive directly. It doesn't even function as a local shortcut because nobody is at either end of the road; at the bridge end, there's just a few scattered warehouses on the US side and a shantytown on the Mexican side, while on I-35 it's all ranches. If Texas built roads for CURRENT traffic levels, they would always be behind the curve. But, they build ahead. Sure, it might take 20 years for these new freeways to get paid off, but the amount of time that it takes will shorten as traffic levels increase...it always does. At the front end, the current TxDOT scheme seems awfully ridiculous, as though they were built for non-existent traffic. But wait 20 or so years; give it time to grow...I'm certain it will. Texas tollroads are too expensive, the money goes to Spain, plus they stressed how much easier it would be to pay by mail so they got rid of the change booths (it's not, they sent me violations to the wrong address, jerks), and now they are stressing it's a pain to pay by mail and everyone should put money into their account. They are the worst of rotten bill collectors too, as they hassled me over a 24 cent bill I never got and I had to pay them $12. Twice after that they hassled me over cars I sold. I hope they go bankrupt as no one wants to drive on their roads. When I-20 between south Dallas and south Ft. Worth opened in 1975 it was a futuristic 8 lane super-freeway with stacks at all major highway crossings. And NO traffic. We used the Arlington-Grand Prairie straightaway as our personal high speed racetrack. That section saw plenty of action at 120+ mph back then. No joke. Several of us had cars that would run top end like that. No traffic, no cops, no nuthin'. Those were the days. Now it's just another crowded urban freeway and I'm just a rambling old man. SIGH!